Let's work together to pay down, reduce, or eliminate $1,000,000 (or more) in student loan debt! How to get on the leaderboard? Share with us the actions you've taken and how much debt you've eliminated this month. You could save by switching repayment plans, finding student loan forgiveness, refinancing your student loans, side hustling, and more. Those who eliminate the most debt (and can prove it) will get some awesome prizes at the end of the month! Submit your leaderboard update here! Thank you so much to everyone who participated in our March 2018 Student Loan Debt Movement! Check out our free student loan debt course! Check out our top resources for getting out of student loan debt. Make sure that you sign up for the movement and get access to our private Student Loan Debt Movement Facebook group, where we host 2x weekly office hours to answer your student loan debt questions. Click the links below to learn more. Some links may be from partners we recommend and may receive compensation (at no cost to you) if you use their services. Discover all the student loan repayment plan options available to you and see if you can save money each month. Find if you qualify for various student loan repayment plans, from Federal loans to repayment assistance from your state or employer. See if you can save money each month, lower your interest, and make repayment more affordable by refinancing your student loan debt. It can be confusing to know the best path to take with your student loan debt. See if paying for professional help can make sense for you. Eliminating student loan debt starts with budgeting and tracking your income, expenses, and loans. If you're not sure where to even start, start here. One of our favorite ways to make big progress towards your student loan debt is to earn extra money and use that towards reducing your student loan debt. 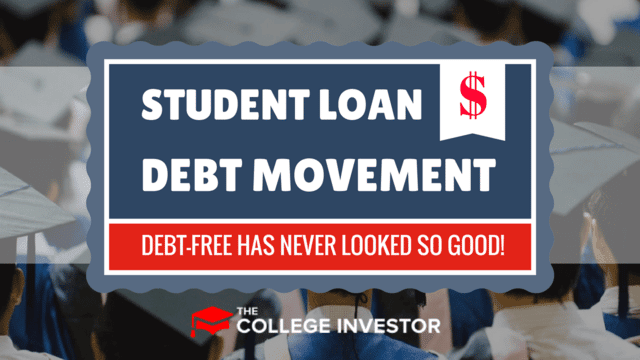 Why A Student Loan Debt Movement? Student loan debt drives me nuts. Beyond the financial toll it can take on borrowers, getting out of it can be a hard and confusing process. With so many different payment plans, loan forgiveness options, different loan types, it can be really hard to know the best path to get out of student loan debt. And that doesn't even take into consideration the emotional toll that student loans can have. From depression, to a delay of life events like buying a house or starting a family, student loan debt is a struggle. But with $1.4 trillion in outstanding student loan debt, it's a problem that's not going away any time soon. For individuals, though, it's a problem that can be conquered. It just takes the right combination of education, inspiration, and action. Education - You have to know what repayment plan makes sense. What forgiveness options you might qualify for. And you need to create a path forward. Inspiration - You need to be motivated to stick to your plan. Hopefully seeing others in the Student Loan Debt Movement will give you some inspiration. Action - No matter how much you know, and how inspired you feel, nothing will change if you don't take the steps necessary. You can earn bonus entries for our weekly giveaways and surprise bonuses for taking action this month. That's why I wanted to start a student loan movement. I want to see if we can inspire our readers to pay down, reduce, or eliminate $1,000,000 in student loan debt during the month of March. I graduated with $43,000 in student loan debt and was able to eliminate it in about 3 years. I worked full time, side hustled, and focused on my budget to put every extra dollar I could to make those loans disappear. Over years of helping others here on The College Investor, I've seen countless others get out of student loan debt doing the same thing. Let's see what we can do together this month! Check out this awesome list of bloggers, podcasters, Instagrammers, and YouTubers who made the commitment to share the Student Loan Debt Movement with their audience. Without them, this whole campaign would be pretty much useless. I'm humbled to have to many others help out and educate their audiences on the tools, tips, and tactics (along with a solid dose of inspiration) to eliminate as much student loan debt as quickly as possible. Kicking Student Loan Debt To The Curb (for good) - Good Life. Better.